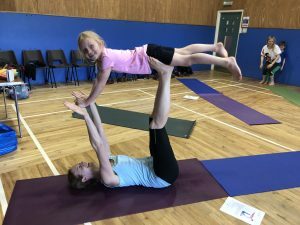 Come and join us for our next Family Yoga session on Sunday 2nd September. Enjoying a fun filled session of healthy movement and mindful moments to the backdrop of The Greatest Showman/Circus music and poses. Booking via the link on our website, email: lynnekpyoga@gmail.com or call: 07939 689864.